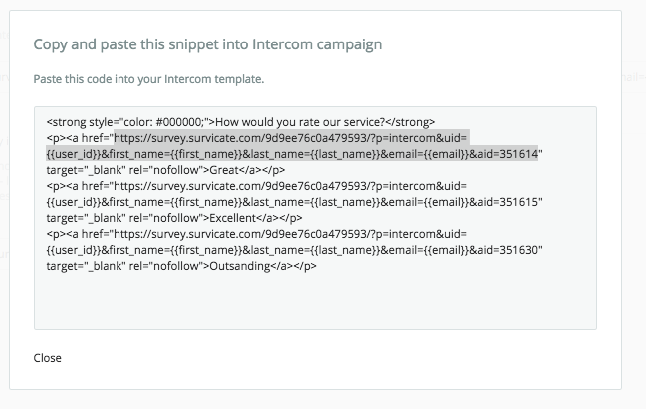 You can send your surveys via Intercom using default HTML code (view article on it here), but you can also customise the message yourself by hiding answers behind Intercom buttons. Then choose the first question- if you decide to use single-answer question we will provide you with HTML code (you will be able to hide every answer behind a button); however, if you choose any other type of survey, we will give you access only to the link leading to a survey. Please note, that you need to copy URL preceding the answer to connect right answer with the button (as in example). ✅ It's ready! 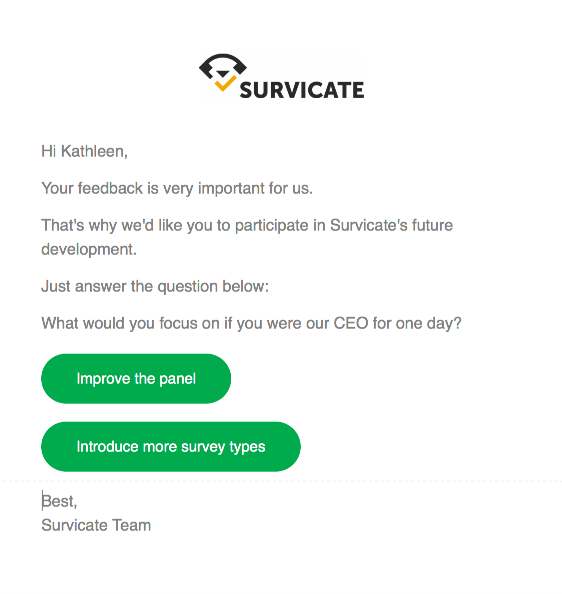 Send your new, great looking survey to customers and get ready for dozens of responses!